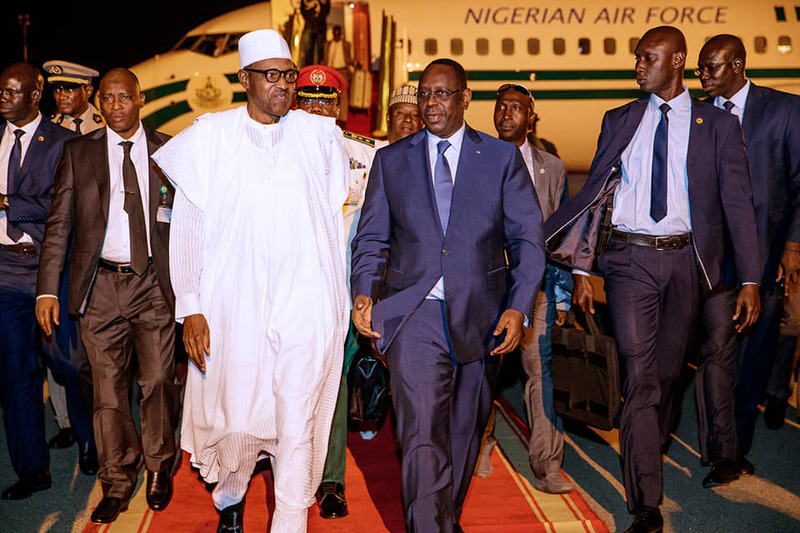 President Muhammadu Buhari has arrived in Senegal ahead of inauguration of Senegalese President, Macky Sall, following his re-election for a second term. 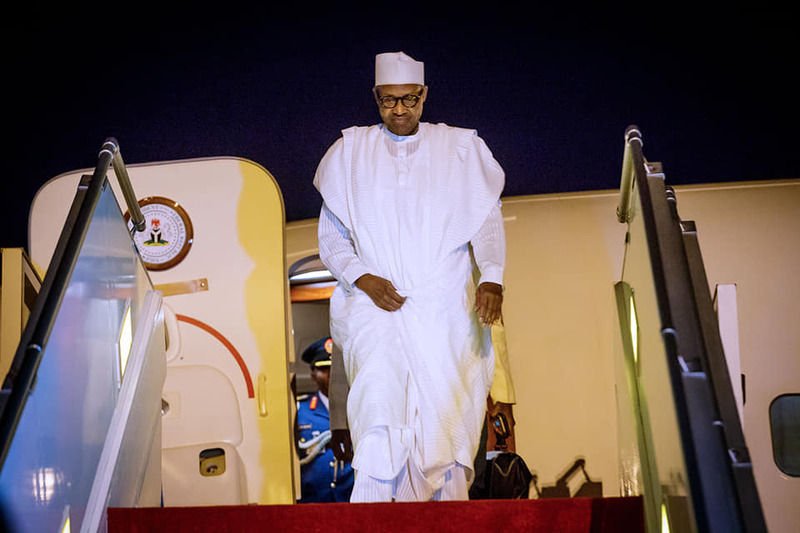 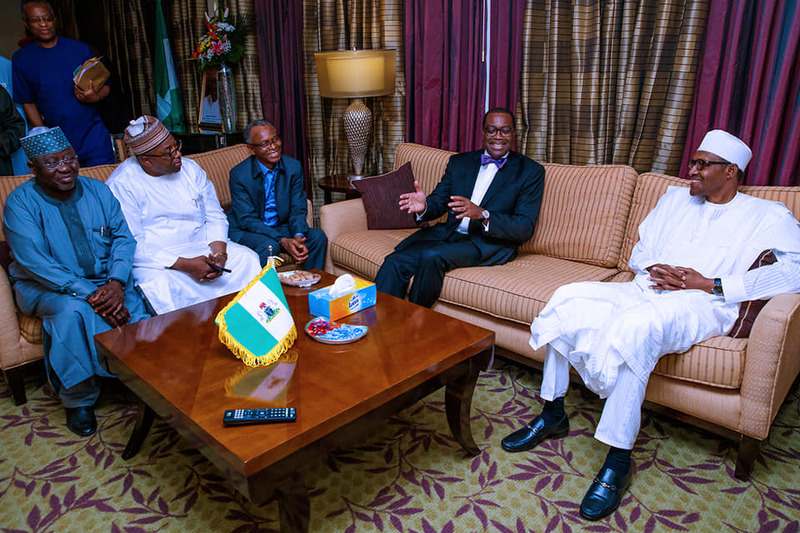 Okay Nigeria had reported that the Buhari departed the country and was accompanied with some governors. 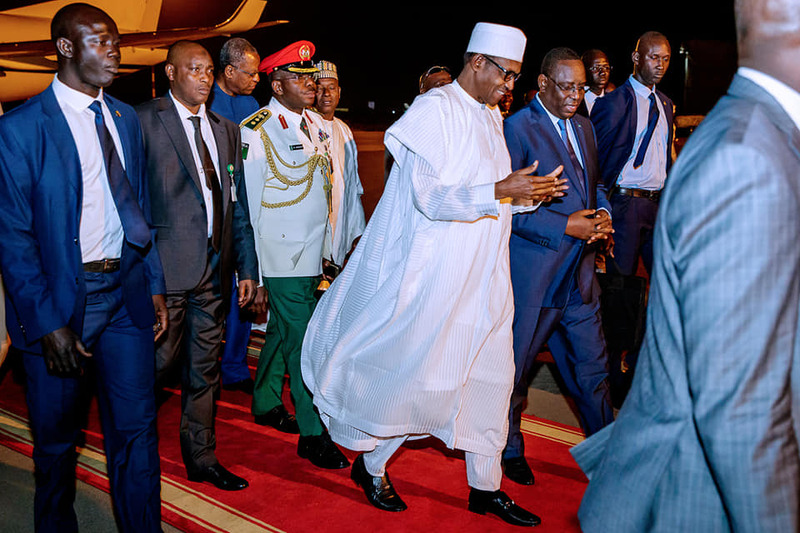 The governors that accompanied the president are Governors Mohammed Abubakar, Nasir El-Rufai and Tanko Al-Makura of Bauchi, Kaduna and Nasarawa states respectively.